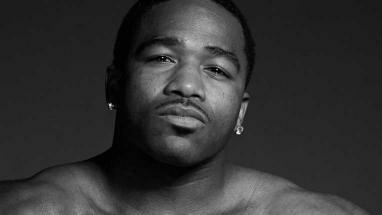 Adrien Broner of Cincinnati has held world titles in four weight classes. He is currently without a title, however, and he wants to change that. The first step in that direction will be a bout against former sparring partner Adrian Granados on Feb. 18 at Cintas Center in Cincinnati (on Showtime). The interested parties hosted a news conference there Tuesday, and the fighters spoke about their knowledge of one another. Granados’ credentials pale in comparison to Broner’s. Granados (18-4-2, 12 KOs) has never even fought for a major title, and as recently as September 2015 he boxed on a small club card at the Quiet Cannon in Montebello. Yet, Broner believes he can’t afford to overlook him. Promoter Floyd Mayweather Jr. is of a similar mind. “These are going to be two hungry lions in the ring, and that’s what it’s all about,” Mayweather said. Granados, 27, intimated he may have a surprise or two in store for Broner (32-2, 24 KOs). “I’m confident that I’m more determined than any other fighter I’ll face,” said Granados, of Cicero, Ill. “I’ll also have a few tricks up my sleeve on fight night. I haven’t shown everything in my arsenal. Golden Boy Promotions vice-president Eric Gomez on Thursday during a conference call said he believes Liam Smith (23-0-1, 13 KOs) of England will likely be Canelo Alvarez’s toughest test to date when they square off Sept. 17 at AT&T Stadium in Arlington, Texas (on HBO pay-per-view) for Smith’s junior middleweight title. Considering Alvarez has fought the likes of Floyd Mayweather Jr., Miguel Cotto, Erislandy Lara and James Kirkland, that’s very difficult to believe. But of course, with all the negativity surrounding Alvarez and his and Golden Boy’s ducking of middleweight champion Gennady Golovkin, it’s not surprising to hear someone connected with the promotion speaking in hyperbolic tones. Alvarez (47-1-1, 33 KOs) himself seemed to go to his own extreme in that regard during a workout Wednesday in San Diego. Mayweather handed Alvarez his lone defeat in September 2013. Suffice to say, Smith is no Mayweather. Lara gave Alvarez all he could handle in July 2014, Alvarez just sneaking by with a split-decision victory. 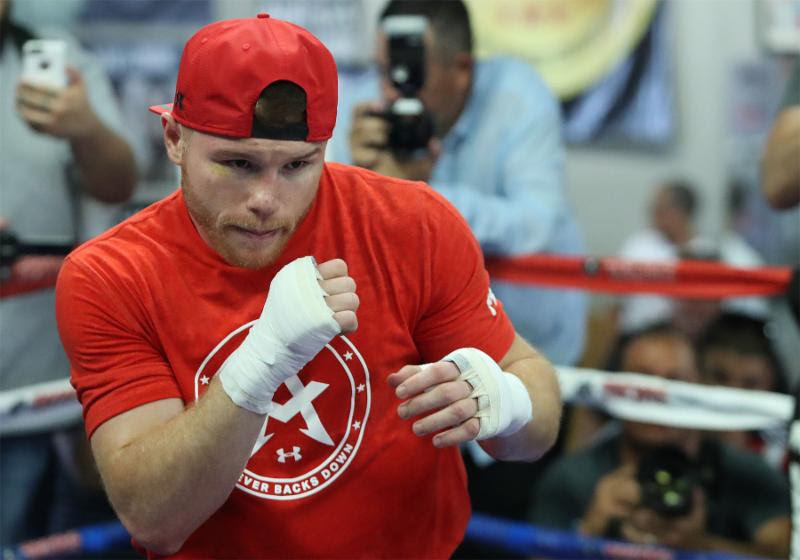 Gomez pointed out Thursday that Smith is on a streak of eight consecutive knockouts. That’s fine, except that none of those opponents he stopped are terrific fighters. One – Robert Talarek – was 10-8-2. Another – David Romero – was 11-5. Both of those bouts took place in 2015. It appears heavyweight contender Jarrell Miller is trying to take the Floyd Mayweather Jr. path to stardom. Miller talks a lot of trash, and he’s been bashing the heavyweight champions of late. But he does seem to at least have some respect for Tyson Fury, who holds two of the belts. Miller then said something about a potential fight with Fury that was kind of out there. “A fight between us two will be like Comedy Central on steroids, it would be bananas,” Miller said. “It would sell out kind of like a Mayweather-(Manny) Pacquiao. … I feel like we can capture the heavyweight division and put it back on the map, just because of the way he talks. Miller, of Brooklyn, is 17-0-1 with 15 knockouts. Kassi, of New Orleans, is 18-5-1 with 10 knockouts. “Sugar” Shane Mosley was laughing, getting a big kick out of how antsy his trainer – all-time great fighter Roberto Duran – is for Saturday. That’s when Mosley will take on David Avanesyan of Russia in the welterweight main event from Gila River Arena in Glendale, Ariz. (on CBS Sports Network). Guys like this don’t calm down. That’s why Duran is one of the best ever. That’s why Mosley, who has won titles in three weight classes, is one of the best of his era and will join Duran in the International Boxing Hall of Fame five years or so after he finally hangs up the gloves. It seemed Mosley was done when he had to quit after seven rounds against Anthony Mundine in November 2013, no thanks to severe back spasms. But he came back after 21 months off, won two fights against so-so opponents – a washed-up Ricardo Mayorga and journeyman Patrick Lopez – and now he’ll be challenging Avanesyan for his interim world title. Did we mention that Mosley, of Pomoma, is 44? Ego is involved. Mosley admits that. Avanesyan is just 27, and Mosley believes a win over him would demonstrate he can still beat a young world-class fighter. Interestingly, if Mosley wins Saturday and takes the interim title from Avanesyan, Mosley (49-9-1, 41 KOs) would then be in line to fight the winner of the title fight between champion Keith Thurman and Shawn Porter on June 25 in Brooklyn. If Porter were to emerge victorious, Mosley said he would not want to fight Porter because Porter “is like a little brother to me.” He would, however, take on Thurman should Thurman retain his belt. “Yeah, of course I’ll take the fight with Thurman,” Mosley said, in confident tones. That sounds scary because Thurman (26-0, 22 KOs) is very good and hits hard. And he’s just 27. Mosley would be better off taking on guys his own age, or at least close. He would prefer that. Rematches with Miguel Cotto, Manny Pacquiao and Floyd Mayweather Jr. would be fine. A fight with Juan Manuel Marquez would be cool, too. Well, maybe. Duran fought until he was 50. A story published Thursday by the Associated Press has Floyd Mayweather Jr. claiming he did nothing wrong by taking an IV solution to re-hydrate following the weigh-in for this past May’s welterweight title fight with Manny Pacquiao, won by Mayweather via unanimous decision at MGM Grand in Las Vegas. Mayweather reportedly did not receive a formal exemption from the United States Anti-Doping Agency for the IV until weeks after the fight, but USADA admits it knew of the IV before Mayweather took it and that it contained no illegal substances. “As already confirmed by the USADA statement, I did not commit any violations of the Nevada or USADA drug testing guidelines,” Mayweather said in a statement. “I follow and have always followed the rules of Nevada and USADA, the gold standard of drug testing. The response by Mayweather and USADA came as a result of this story by Thomas Hauser on SB Nation. Mayweather will take on Andre Berto at MGM Grand on Saturday night in what Mayweather says will be his final fight.